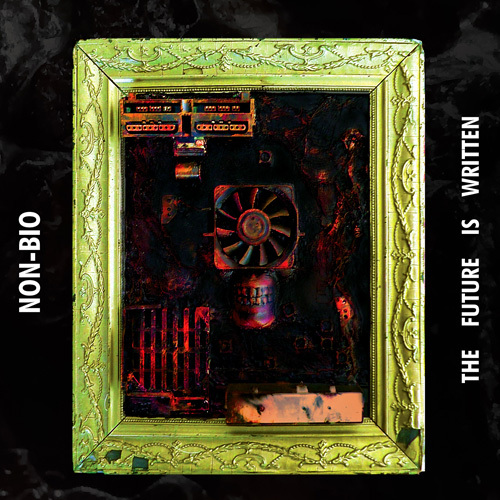 After releasing a lot of EPs and 'mini albums', it has been quite some time since Non-Bio released an actual proper full-length album. We are therefore proud to announce the imminent release of The Future Is Written, a 14 track recording which will be available as a download, a CD digipak and on Spotify. The album will be released accross all formats on the 1st September 2018 and can be ordered through our Bandcamp page (and no doubt will be available on merch stands at our future gigs). A promo video has already been released which you can watch below.